Datafeed Studio features advanced integration with the Voucher Database (currently free!) 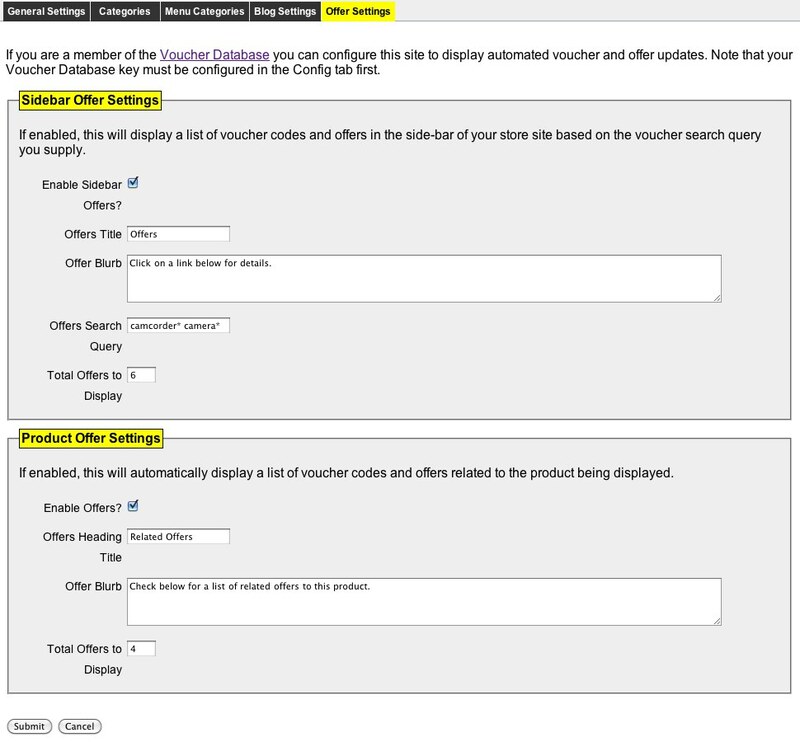 allowing you to augment your store sites with vouchers and offers matching keywords you supply. 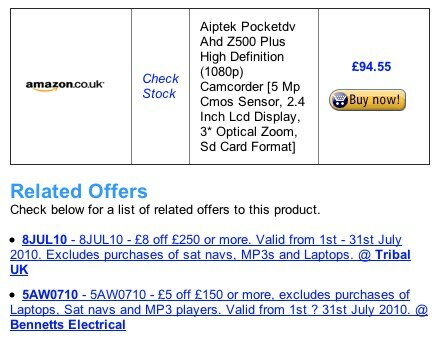 Once configured you can display offers in your store sidebar, or even automatically include offers that match the name of the product being viewed!